About 10 minutes later, a second weaker tornado was confirmed less than 10 miles (16 kilometers) away near the town of Rudy, Arkansas. In that same period, 55 tornadoes total have been recorded statewide during the month of December. No fatalities have been reported, but Geelhart says three people were transferred to a Springfield hospital in critical condition. The tornado was on the ground for around 10 miles (16 kilometers) before it thundered through Taylorville, and the weather service was able to warn residents of its arrival 41 minutes before it actually struck, Chris Miller, a meteorologist at the service's Lincoln office, said in a phone interview Sunday. Around 20 people were injured, but there were no deaths. To put Saturday night's storms into perspective, just 14 tornadoes total have been reported in the central part of IL between 1950 and 2017, according to Miller. Miller said preliminary estimates are that the Taylorville tornado may have been an EF2, which indicates wind speeds as high as 135 miles per hour. Trees, power lines, and buildings were destroyed. Severe thunderstorms also raked IL and Missouri on Saturday. 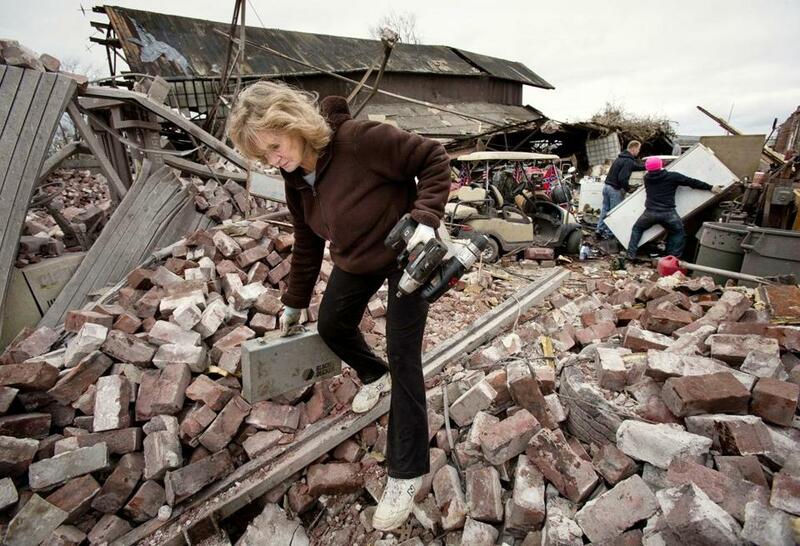 Residents in central IL assessed damage Sunday after tornadoes ripped roofs off homes, downed power lines, and injured at least 20 people the day before. Among the hardest hit areas appears to be Taylorville, a small town that sits about 25 miles South and East of Springfield. Andy Goodall, the city's assistant fire chief, estimates that over 100 homes were damaged. The owner says that about 200 cars were damaged in both of the garages and shed. A lot of them were discharged within hours of their arrival.